Joseph Kony is an evil man. But are the people who likely made you aware of him in the first place even worse? Over the course of just a few days, the world responded to the message of Invisible Children’s short film, Kony 2012, then shot the very messenger that brought them the news. And by the end of it all, at least one man was naked on a street corner. It was a unique event. The video itself was the eleventh by Invisible Children, and even in its short lifespan, the most effective. 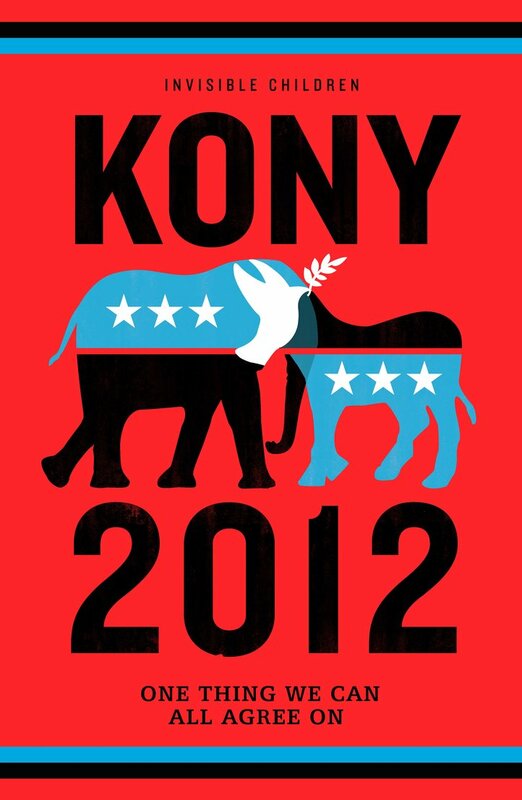 As of the writing of this post – three weeks after the video’s release – Kony 2012 had been viewed over 100 million times on YouTube and Vimeo. MSNBC wrote in greater detail about how the video went viral, while the Chronicle of Philanthropy provided a more philosophical, yet briefer account. So, Kony 2012 was achieving its goal – to make Joseph Kony famous. There is no denying that the world is now more aware of the man than before the campaign. However, in the process of making Kony famous, Invisible Children too became noteworthy, and when one attracts a certain amount of attention, it is only a matter of time before a critical lens is applied. Since we’re still moving at viral speed, that critical attention hit Invisible Children one day later. And in true World Wide Web fashion, it was a previously unknown blogger who became the voice of the opposition. Enter Grant Oyston, a sociology and political science student at Acadia University in Nova Scotia, Canada. His tumblr, diametrically entitled “Visible Children,” raised numerous concerns about Invisible Children – their finances, the means of accomplishing their mission, and the general inaccuracies of their film. Rather than explain them all here (though I will delve into a couple), I encourage you to read Oyston’s essays yourself. They are well-crafted, with an admirable fairness shown to his opposition. Impressive for anyone, never mind a 19-year-old student. Invisible Children responded by prominently featuring a “Critiques” page on their website. In it, detailed and direct counterarguments were provided to answer the growing number of critics – and occasionally, to flat out admit where they made mistakes, a move that, however counterintuitive, achieves a great deal of goodwill in the public relations world. Very rapidly, a conversation borne out of brevity and a lack of information had been filled with data. It’s not that uncommon, really. Only after something has become popular do we bother to ask why. In this instance, the questions triggered a negativity effect that steered us straight from idealism to cynicism. Both oversimplified; both dangerous. Invisible Children was questioned and criticized, mostly for their budget allocation. The group spends around 40% of its monies on awareness projects, like the Kony films, compared to a little more than a third on actual aid programs in Central Africa. Why were they spending so much time and money on media gimmicks when they could be meeting the needs of children in the region? Invisible Children isn’t World Vision or the African Aid Organization, and they never claimed to be. Their focus is not food, water, and shelter. They are and have always been about getting the word out. About raising awareness. About doing… exactly what they did. Kony 2012 specifically targeted influentials and policymakers – the film’s website providing quick links to send Tweets to anyone from Speaker of the House John Boehner to Oprah. For at least one of them, it worked. Philanthropics like George Clooney and Angelina Jolie got involved. So did Puff Diddy Daddy Puffy Combs. NBC Nightly News ran an extended package on the phenomenon. So did plenty of other outlets. The United States Senate passed a resolution condemning Kony and pledging further assistance to the nations fighting Kony. The critics are right – a Facebook post doesn’t stop Kony’s militia. But millions of Facebook posts and Tweets and phone calls and emails from a combination of opinion leaders and common citizens that cause a foreign idea of no direct consequence to ourselves to become part of our mostly ethnocentric zeitgeist? That is creating social pressure that motivates people in power to act… and that is something. So, then, does it matter than Kony 2012 was misleading? That it took a complex sociopolitical issue and presented it as a clear-cut narrative of good and evil? That it exaggerated the current strength of the Lord’s Resistance Army? These are tougher questions. Are we to take the film as journalism, designed to inform? If so, then truth requires absolute factual accuracy and Invisible Children is most certainly at fault. Or are we to take it as propaganda, designed to persuade? If so, then truth has elasticity of artistic license and it was effective while staying within its bounds. Chicago Public Media’s This American Life recently dealt with a similar issue when they discovered one of their programs about Foxconn – the controversial Chinese factory where electronics, most notably Apple products, are manufactured – was recounting events the author never actually witnessed. The story maintained an elastic truth (the events seemed to have occurred), but its deceptive sourcing hardly holds to journalistic principles of truth and accuracy (which is why a full one-hour program was devoted to apologizing for and correcting the error). Backlash at its apex. The negativity effect fully manifested. 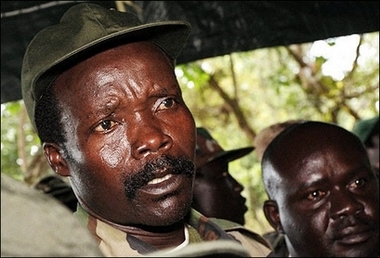 To audiences that felt the film was misleading, or that the organization’s goals were misaligned, Kony was actually getting a pass, because he was not as bad as one of the most evil human beings to walk the Earth, as if that was suddenly the bar that determined whether or not action was needed. I can’t imagine Invisible Children anticipated such scrutiny being directed at its film. I certainly can’t imagine they anticipated the film’s creator, Jason Russell, having a public meltdown – what his family reports as “brief reactive psychosis,” following the stress of the media blitz. But it begs the questions – if Russell had gone the route of a journalistic documentary, would he have accomplished his goal? And if a goal cannot be accomplished by presenting absolute factual accuracy, is it worthy of being met? These are philosophical questions, and I point, oddly enough, back to Hitler for historical insight. The films spliced footage from Axis propaganda. They used music, imagery, and animation to invoke fear, compassion, and patriotism. 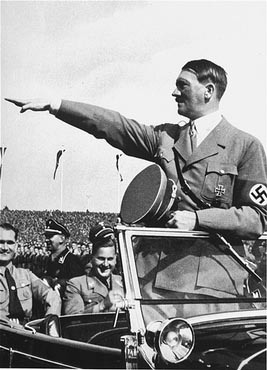 They weren’t what we would call “journalism.” One might have even said at the time that they were an unfair characterization of the Axis powers, of Hitler himself. But Hitler was a danger to the world. He was an evil that needed to be removed from power, and Why We Fight toed the line of truth and passion to attempt to motivate a nation to pursue that action. Invisible Children did the same with Kony 2012, creating a firestorm of competing idealism and cynicism, leaving the facts somewhere in between. I believe this internet site holds some rattling good info for everyone. “He is able who thinks he is able.” by Buddha. (c) 2017 Dylan McLemore. All Rights Reserved. dylan mclemore Blog at WordPress.com.